No event to large or to small. We keep it simple and/or custom. Call us today, we love hearing from you. A box lunch comes with your choice of sandwich, chips and cookie while complimented with a pickle spear. 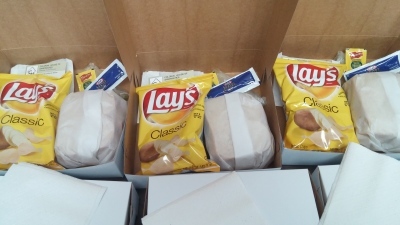 Mustard and mayo packets are boxed for the diners choice of flavor. Our box lunches are quick and easy but most of all fresh and delicious. 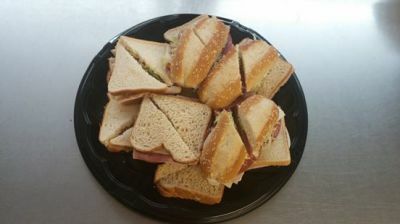 Our party trays come with a selection of Tuna Salad, Chicken Salad, Ham & Cheese, Turkey and Po'Boy sandwiches. 12 sandwiches cut in half. ​Or create your own combination. Other options - Just a bag of sandwiches, and/or chips, large containers of banana pudding or pasta pea salad.